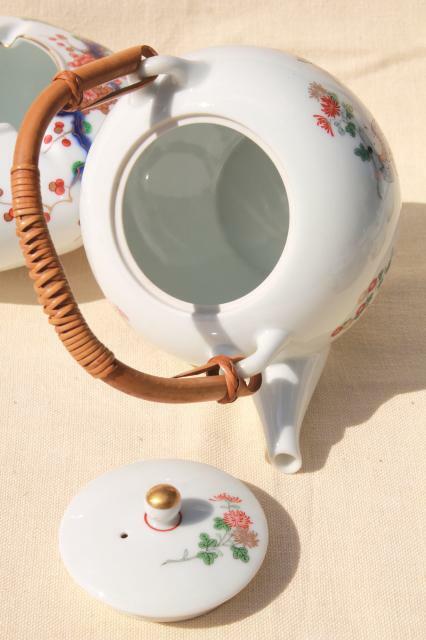 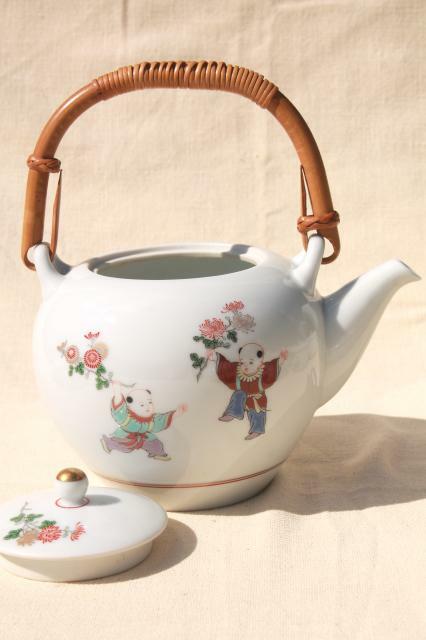 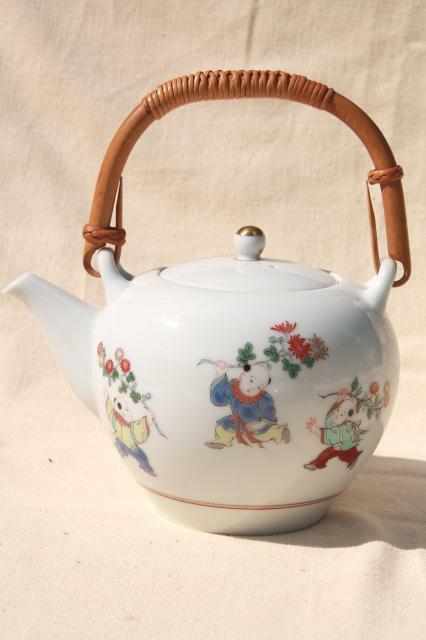 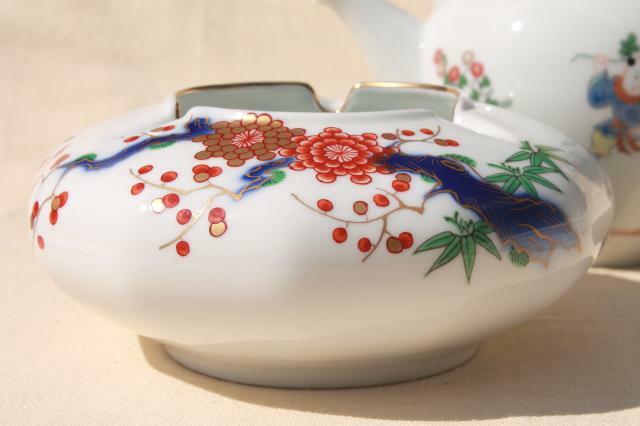 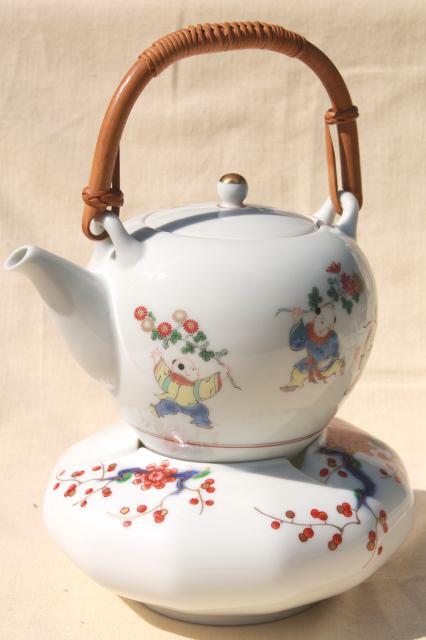 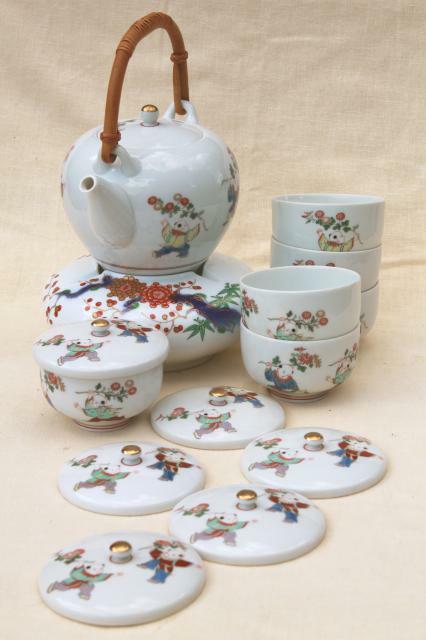 20th century Japanese porcelain tea set, with tea pot and warming stand, six tea bowls with covers. 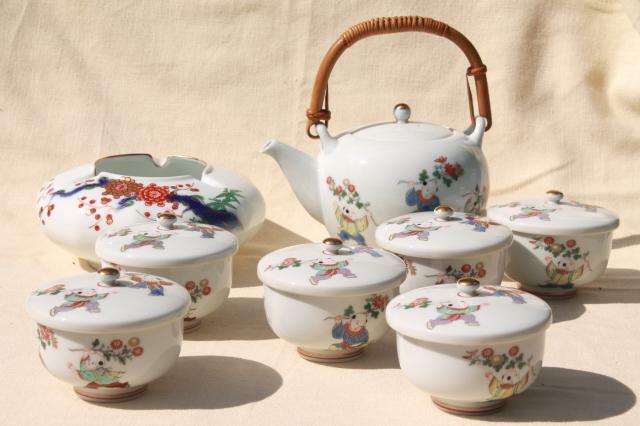 These are all in excellent condition without damage or signs of use. 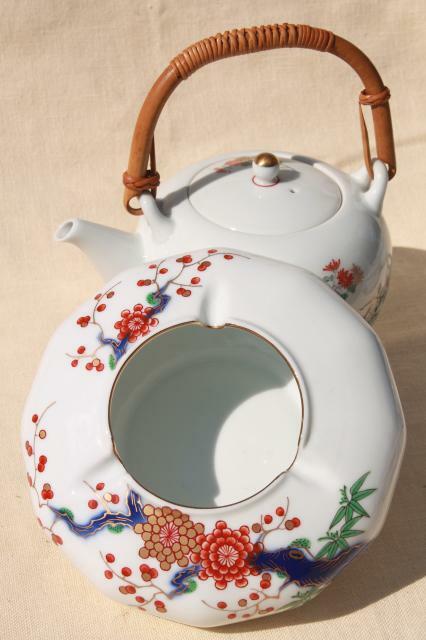 The teapot holds about four cups, and fits perfectly on the 6 1/2" diameter bowl 'stand'. 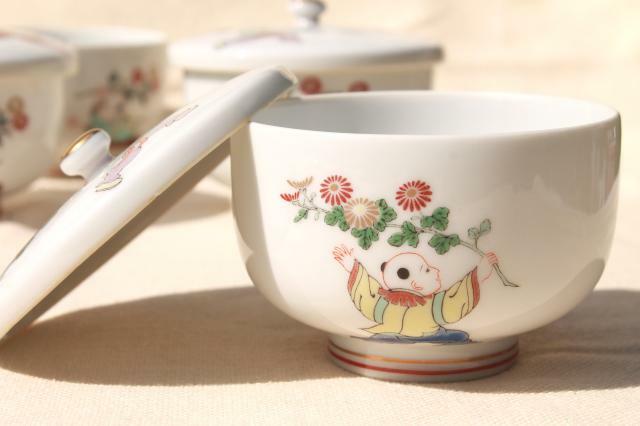 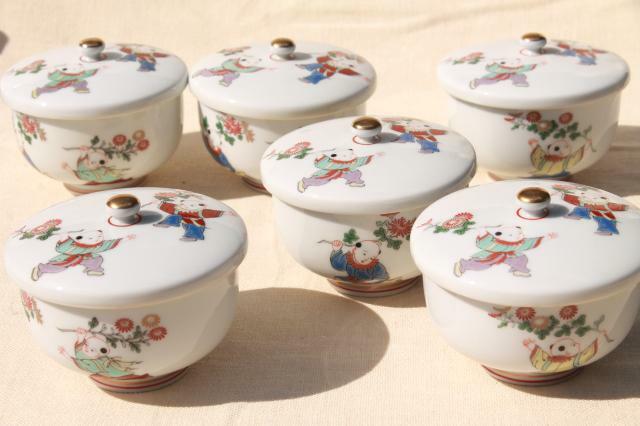 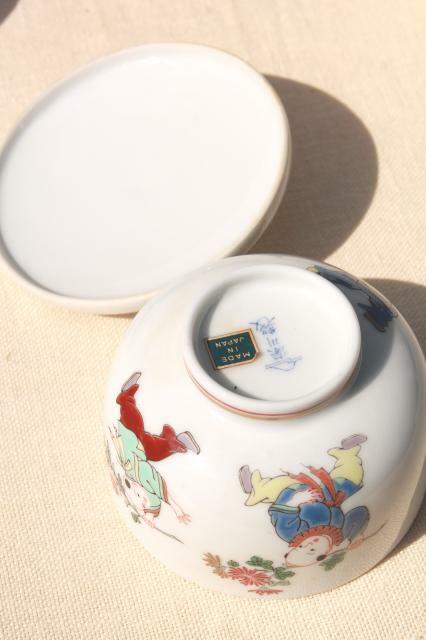 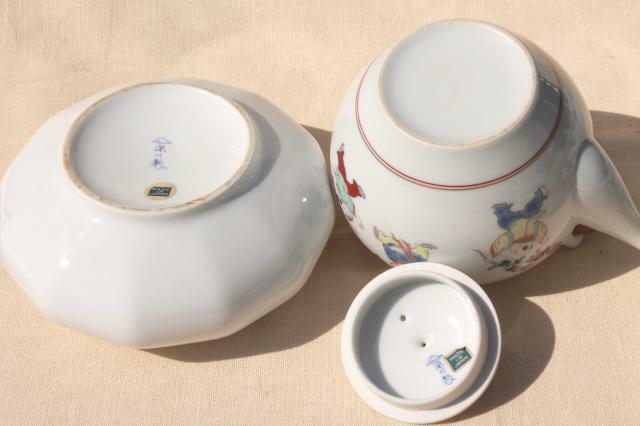 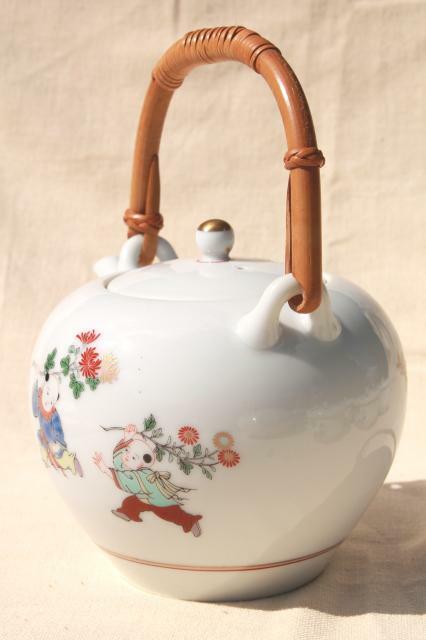 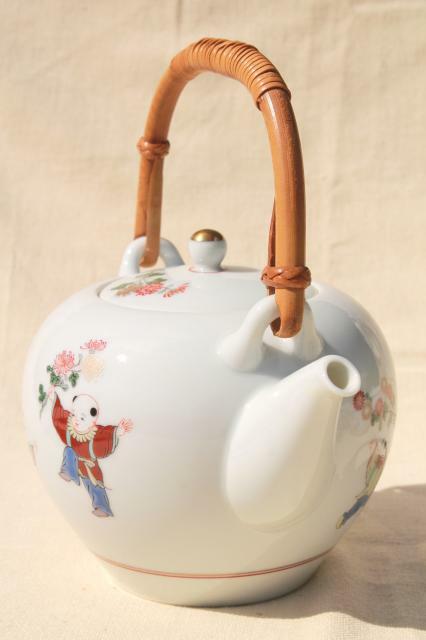 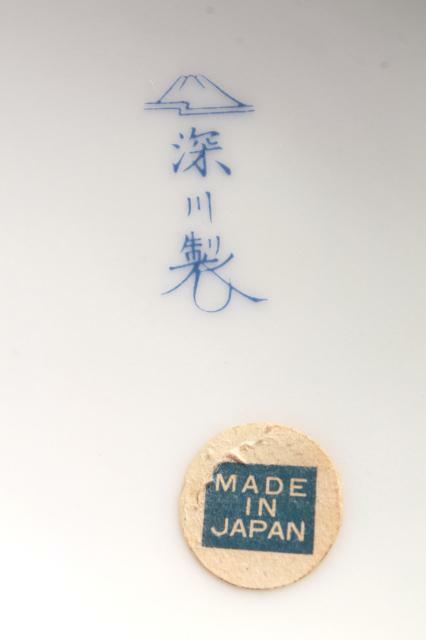 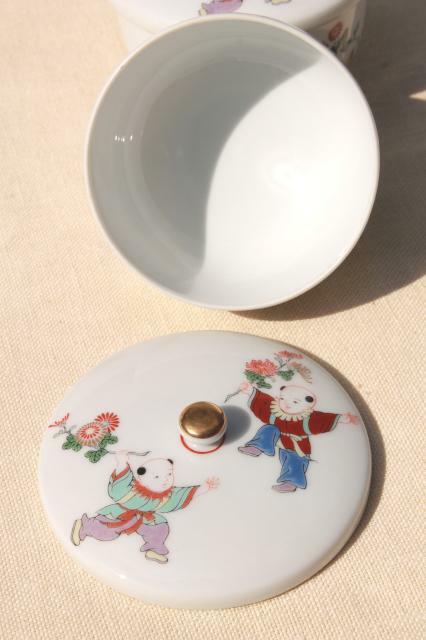 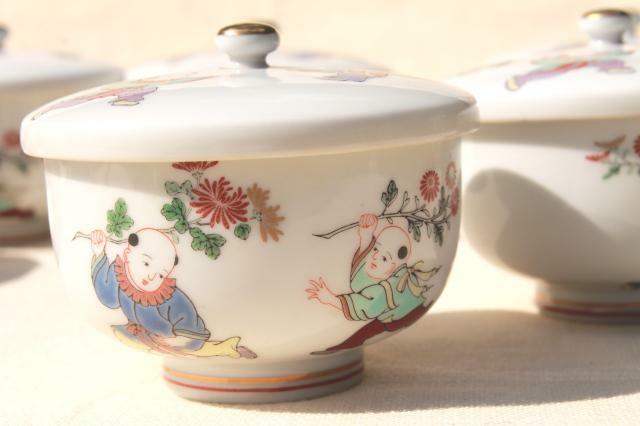 The tea bowls are about 3 1/4" in diameter, sized like custard dishes or small rice bowls.